Pattern of apparently deliberate targeting of hospitals and medical facilities emerges in Syria. Numerous doctors, nurses, and medical facilities have been hit or targeted by missiles or air strikes since the start of the conflict in Syria in March 2011. The latest case came when an air strike and artillery fire hit the two largest hospitals in rebel-held parts of Syria's Aleppo overnight, in what rights groups said was a deliberate strategy of targeting civilian infrastructure. "Let us be clear. Those using ever more destructive weapons know exactly what they are doing. They know they are committing war crimes," said UN Secretary-General Ban Ki-moon. The Syrian conflict, prompted by the regime's bloody repression of peaceful pro-democracy demonstrations, has become a multi-sided war, with many players, from both Syria and abroad. The overnight attack in Aleppo killed two patients and wounded two medical staff, according to medical charity Doctors Without Borders (MSF). Already on September 20, four medics were killed and a nurse critically wounded when an air strike hit a clinic in a village near Aleppo. More than 300,000 people have been killed in the Syrian conflict and more than half of the population displaced. The US non-governmental organisation Physicians for Human Rights said it had registered a total of 382 attacks on 269 separate medical establishments between March 2011 and the end of June this year. During that same period, 757 medical personnel were killed. The watchdog said 90 percent of the attacks were blamed on regime forces and their allies and that most of those on health facilities were deliberate in order to destroy them. Barrel bombs and cluster bombs were used on at least 74 occasions to attack the hospitals, it said. "The majority of attacks on medical facilities were targeted attacks, meaning that these locations were deliberately chosen for destruction, in violation of international humanitarian law," the non-governmental organization said on its website. MSF said that during 2015, 23 MSF-supported Syrian health staff were killed and 58 wounded. Furthermore, 63 MSF-supported hospitals and clinics were bombed or shelled on 94 separate occasions in 2015. Twelve of them were completely destroyed while 81 members of the medical staff were killed or wounded. "After five years of war in Syria the health infrastructure has been decimated," it said. On February 15, 2016 a bombing raid targeted a hospital supported by MSF in the northwestern rebel province of Idlib, killing 25. "This attack can only have been deliberate. It was probably carried out by the coalition led by the Syrian government," Joanne Liu, the international president of MSF, said at the time. "Hospitals are not safe places, neither for the injured nor for the health workers... We can see no commitment on the part of the parties to the conflict to ensure adequate security conditions," according to MSF. In April regime air strikes left 31 dead, mostly in the bombing of an MSF-supported hospital in Aleppo. In early 2014, the jihadist Islamic State group which controls vast zones in Syria abducted 13 MSF personnel and held five of them captive for nearly five months. 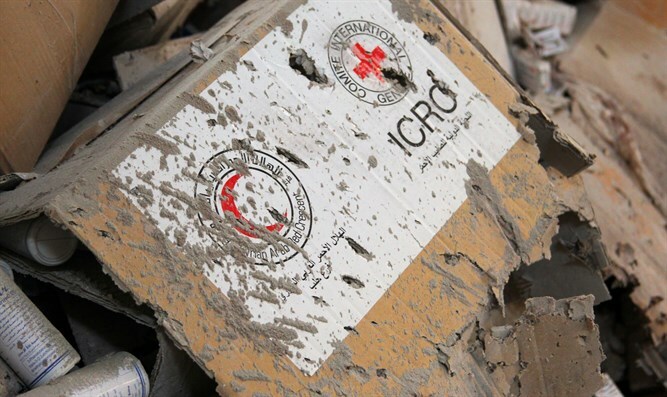 "International law is clear: medical workers, facilities and transport must be protected. The wounded and sick - civilians and fighters alike - must be spared," Ban said at the time.